KW HAS Coilover Sleeves - Dezod Motorsports Inc - Home of the automotive performance enthusiast since 2002. KW H.A.S. 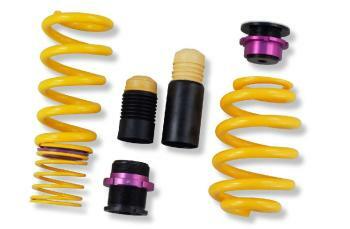 (Height Adjustable Spring) Coilover Sleeves offer height adjustment for use with EM or aftermarket shocks. This budget-minded option does not include shocks as other KW Automotive coilovers include but still offer height adjustment.